It was great to see the Entomological Society of America (ESA) select "neonicotinoids" as a student debate topic for its recent meeting in Portland, Ore.
Bee health is a challenge, and this hot topic tied in with ESA President Frank Zalom's theme "Grand Challenges Beyond the Horizons." Zalom, who just completed his presidential term and is now serving as past president, is a distinguished professor of entomology at the University of California, Davis, and an integrated pest management specialist. Debate topics are always lively and this one was no exception. The teams are given eight months to practice for the 45-minute debate. 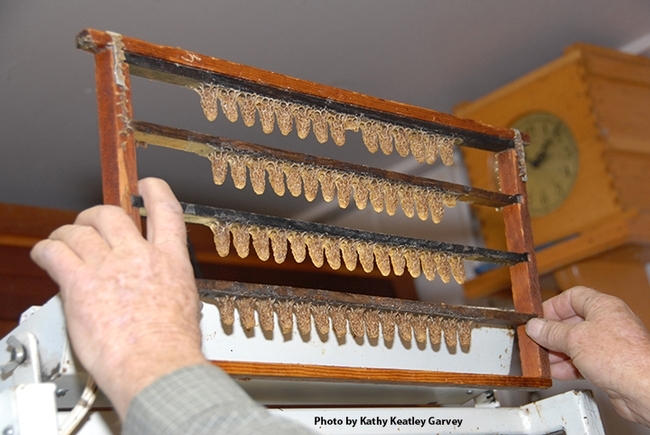 The end result: their work is published in the ESA journal, American Entomologist. "Should the agricultural use of neonicotinoids be banned?" 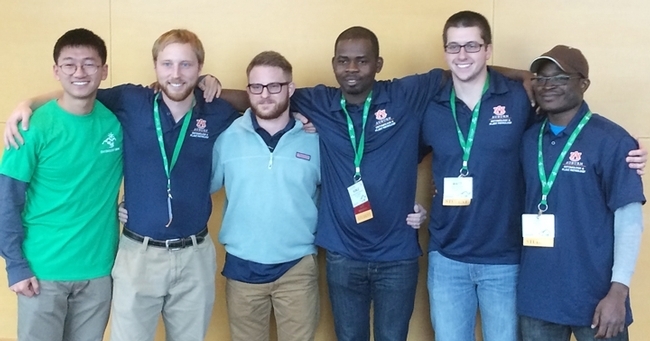 Graduate students from the UC Davis Department of Entomology were given the "con" side and Auburn University, Alabama, the "pro side." UC Davis won the debate, and then went on to win the overall ESA student debate championship for the second consecutive year. In addition to Aghaee, the UC Davis team included graduate students Margaret "Rei" Scampavia, Ralph Washington Jr., and Daniel Klittich. 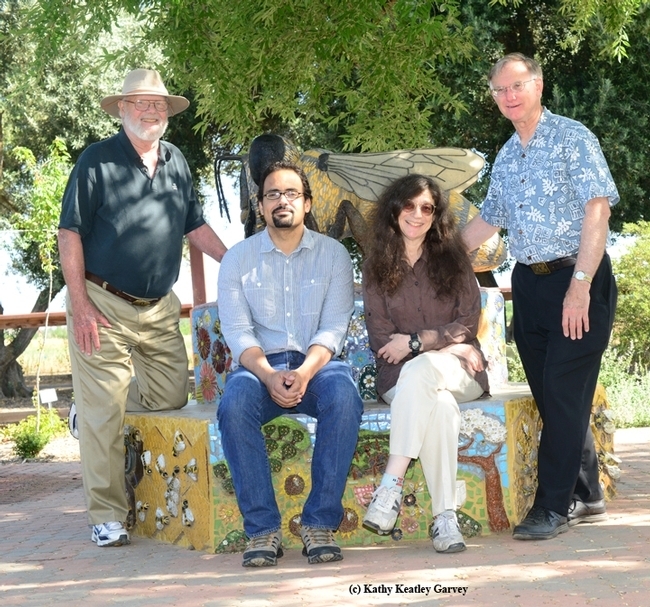 Michael Parrella, professor and chair of the UC Davis Department of Entomology and Nematology, served as their advisor. The Auburn team, captained by Olufemi Ajayi, included Adekunle Adesanya, Julian Golec, Matt Burrows, Scott Clem and alternate Zi Ye. 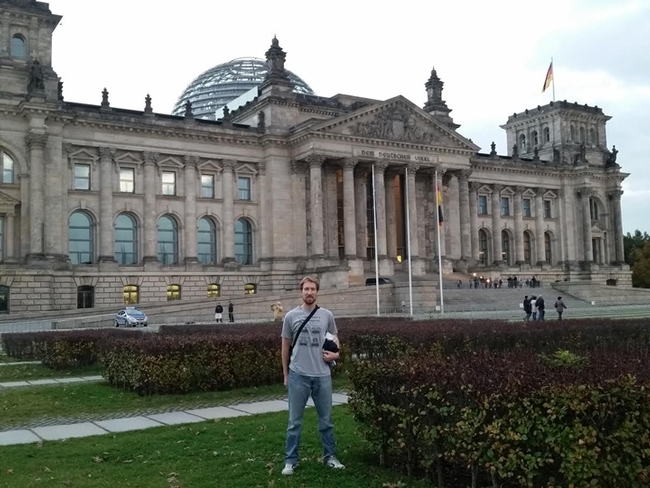 Associate professor David Held served as their advisor. The protocol included a seven-minute statement by each team; cross-examinations; rebuttals; and questions from the judges and audience. 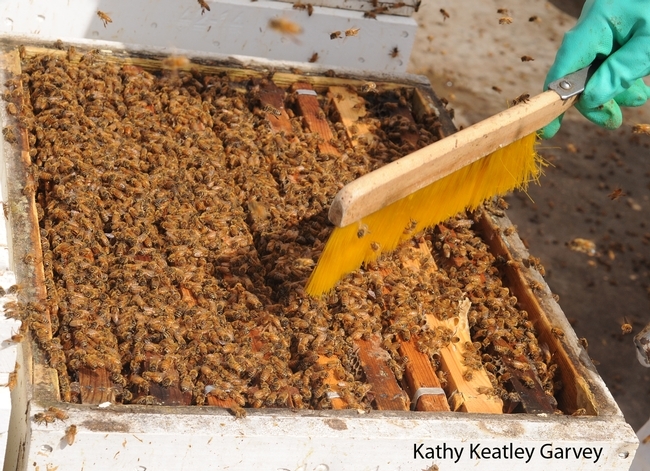 It's not just insecticides that are killing bees, the UC Davis team pointed out. They listed the varroa mite (Varroa destructor), vectored pathogens, and the acaricides, antibiotics and fungicides that are directly added to the colony. They also mentioned American foulbrood and Nosema bombi; inadequate honey bee nutrition; insufficient food substitute; habitat fragmentation; land-use changes; and the increasing demand for pollination changes. 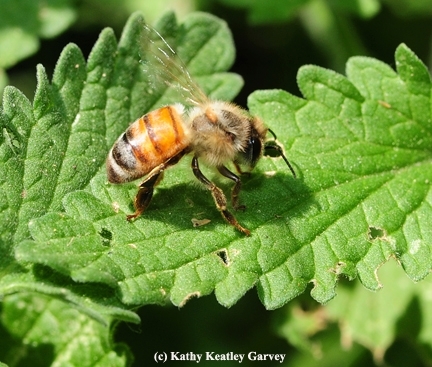 The UC Davis entomologists recommended that regulatory agencies need more thorough registration guidelines that incorporate bee toxicity data for all pesticides (Hopwood et al. 2012). This would encompass chronic toxicity, sublethal effects and synergistic effects. Another recommendation: mandate better management practices that follow IPM principles that protect bees on crops (Epstein et al. 2012). This would include banning certain application strategies, using less toxic neonicotinoids, and encompass the essential education and communication. 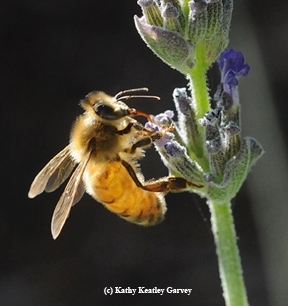 Expanding on the fact that this is “a critical time for pollinators in the United States,” the Auburn team pointed out that honey bees pollinate $15-20 billion worth of crops in the U.S., and $200 billion worldwide; that approximately $3 billion worth of crop pollination services are provided by native bees; and that CCD likely has many contributing factors but many of those are enhanced by neonicotinoids. They said that the honey bee population is declining. In 1947, the United States had 6 million bee colonies and today, it's down to 2.5 million. The Auburn team keyed in on lethal and sublethal effects of neonics: synergistic interactions with other pesticides, including DMI (demethylation inhibitor) fungicides; increased susceptibility to pathogens (Nosema spp. ); decrease in foraging success; decrease in overwintering queen survival; learning impairment consequences; and reproductive inhibition. 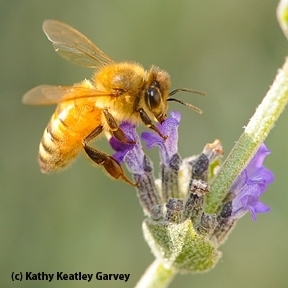 They also called attention to prevalence and exposure to neonicotinoids. They discussed the neonicotinoid residues found on bee-pollinated crops and plants by various means of exposure: seed coating; foliar spray, soil drench, trunk injections; length of residue (soil vs. foliage and length of bee exposure); and single exposures resulting in season-long impacts. They also said the multiple means of exposure due to application can lead to multiple routes of exposure within bees: via pollen, nectar, guttation fluid and extrafloral nectaries. In their concluding statement, the Auburn team said that current tools for risk assessment may not be adequate; and that limiting neonicotinoid use will not harm agriculture--"it will open the door for more sustainable agriculture and new insecticides." They emphasized that we must save our pollinators, especially in the United States. "The United States is a special case--globally there is an increase in bee colonies; however, the United States is at a critical point at which bee pollination services are being threatened irreversibly." One of the several swaying arguments that led to UC Davis winning the debate was that not all neonics are created equal, and thus, they should not all be lumped together as "an equal" and all be banned. 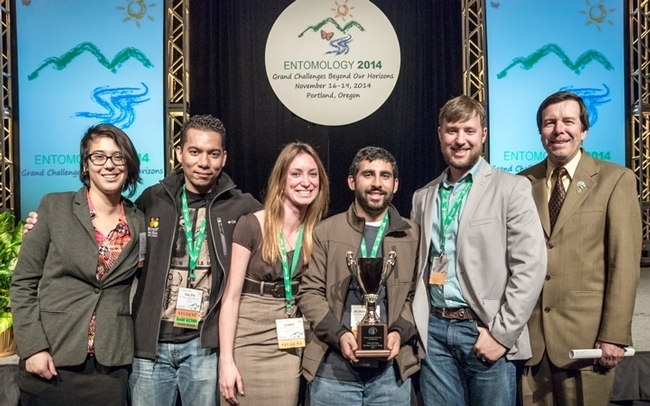 The UC Davis team received a $500 cash award, a plaque and a perpetual trophy engraved with UC Davis. ESA president Frank Zalom presented the awards. Next year's ESA meeting takes place Nov. 15-18 in Minneapolis. Its theme, chosen by ESA President Phil Mulder, professor and head of the Department of Entomology and Plant Pathology at Oklahoma State University, is "Synergy in Science: Partnering for Solutions." He says that the theme "represents a collaborative effort with the other societies, but genuinely keeps us focused on our three strategic principles; 1) our social responsibility to develop ALL members, 2) exploring global partnerships and relationships within our science, and 3) expanding our influence around the world to maximize the impact that entomology has on improving the human condition and our knowledge of the world around us." 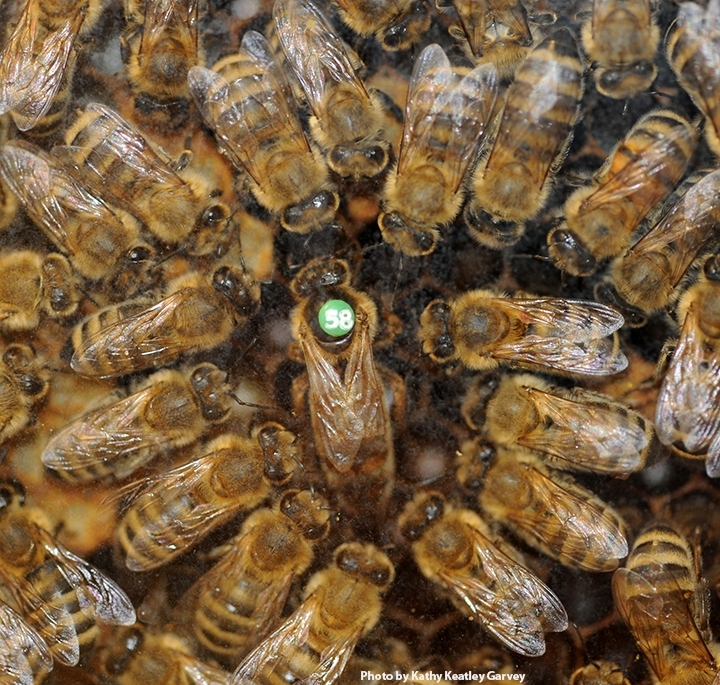 The neonicotinoid pesticides are creating quite a buzz in the bee world. Research published this week in the Science journal zeroed in on the effects of the neonics on honey bees and bumble bees. 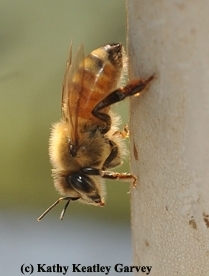 Science writer Eric Stokstad, in his news analysis headlined "The Field Research on Bees Raises Concern About Low-Dose Pesticides," indicated that, bottom line, more research on pesticide testing and regulation is needed. 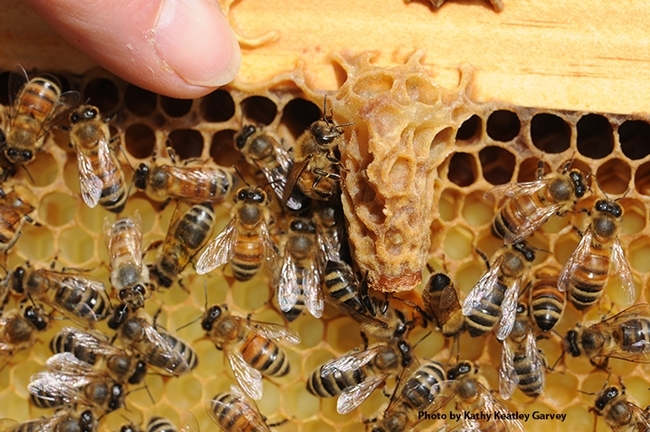 "Five years ago, bees made headlines when a mysterious condition called colony collapse disorder decimated honey bee colonies in parts of the United States," Stokstad wrote. "Now bees are poised to be in the news again, this time because of evidence that systemic insecticides, a common way to protect crops, indirectly harm these important pollinators. Two field studies reported online this week in Science document problems. In bumble bees, exposure to one such chemical leads to a dramatic loss of queens and could help explain the insects' decline. 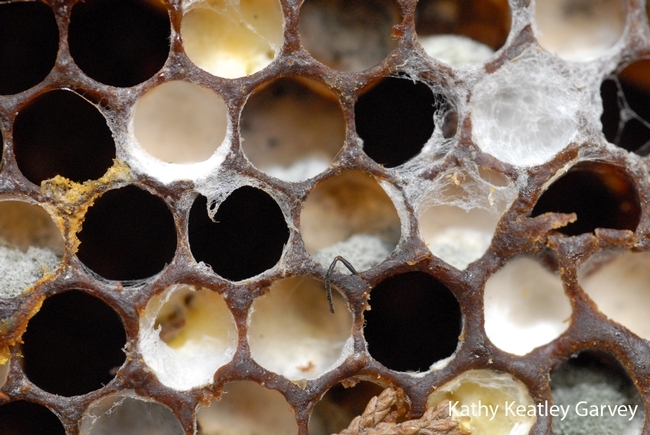 In honey bees, another insecticide interferes with the foragers' ability to find their way back to the hive. Researchers say these findings are cause for concern and will increase pressure to improve pesticide testing and regulation." Meanwhile, Extension apiculturist Eric Mussen of the UC Davis Department of Entomology is fielding calls about the research. 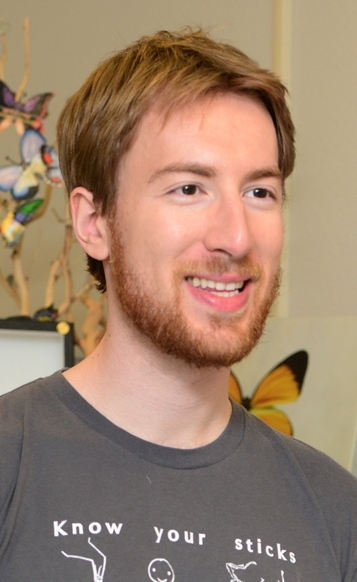 On Wednesday, Mussen talked to science writer Eryn Brown of the Los Angeles Times. Mussen cautioned against singling out neonicotinoids when other pesticides could have similar effects on bees. Besides, he said, many insects have built up immunity to neonicotinoids, so farmers are likely to switch to different pesticides anyway. As Mussen has been saying all along, the declining bee population is due to a number of factors: pests, pesticides, parasites, diseases, malnutrition and stress. 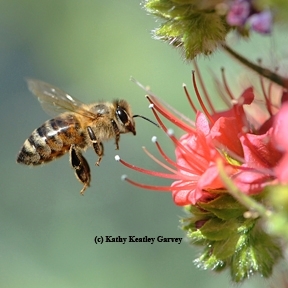 So, there's no silver bullet--no major culprit--that's causing the declining bee population. It's a multitude of factors. Scientists continue to investigate them all.